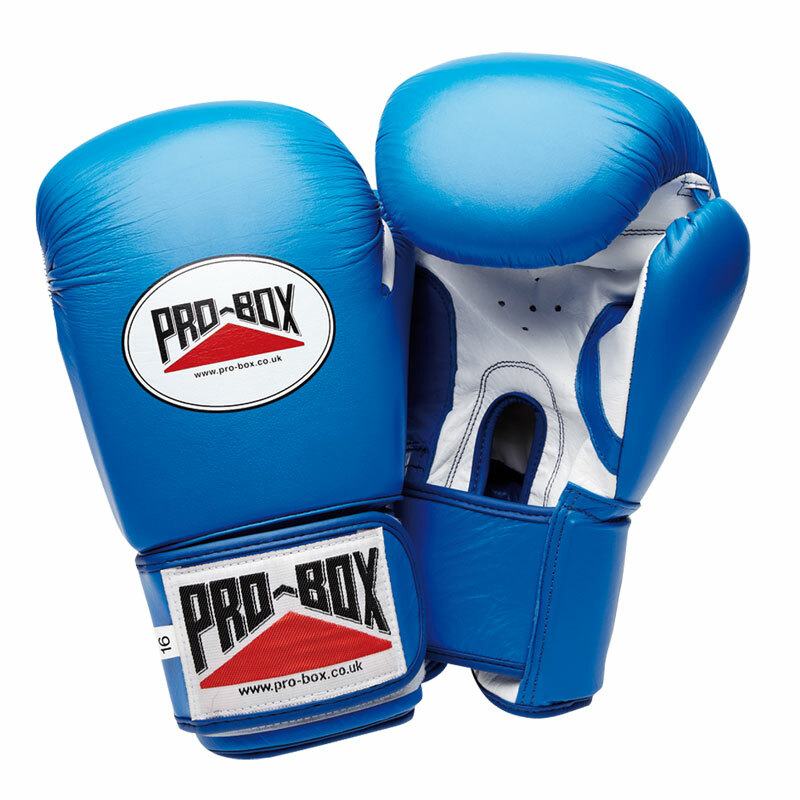 The Pro Box Super Sparring Gloves are Mexican style leather sparring gloves with injection moulded foam safety filling, thumb attachment. 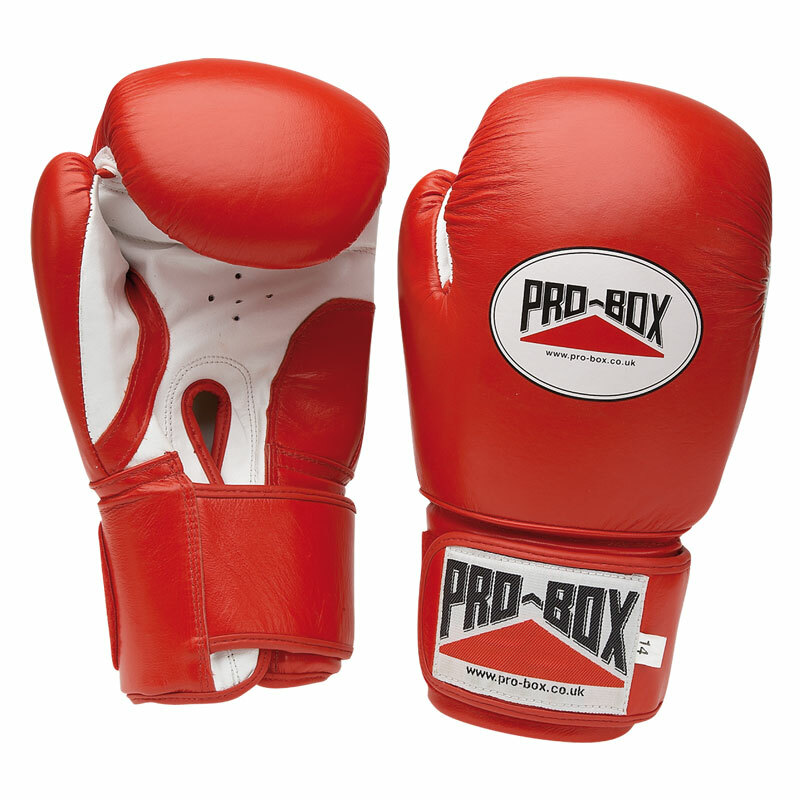 Mexican style leather sparring gloves. Leather hook and loop closing wrist strap. Ventilation on palms for comfort and to help keep your hands cool during those all important training sessions. Available in 10oz, 12oz, 14oz, 16oz, 18oz and 20oz. 6oz - ideal for children, from around 5 years to 7 years old. 8oz - a starter size for women; teenagers. 10oz - a starter size for men; second size for women; commonly used for competition. 12oz - starter size for men. 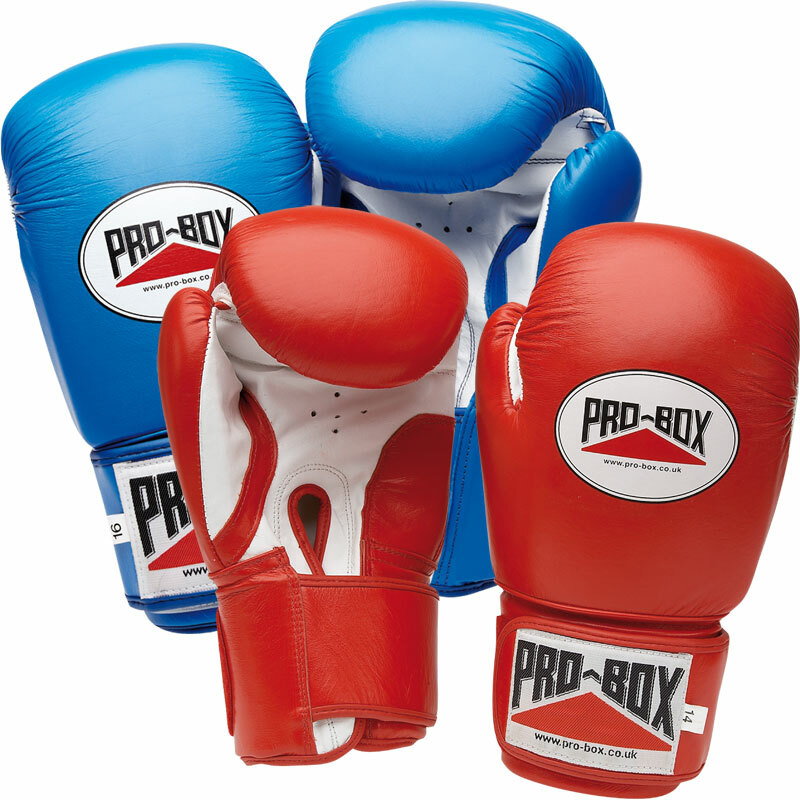 14oz - good for sparring; use for practice; to get used to heavy weight. 16/18/20oz - used by experienced or heavy weight boxers.